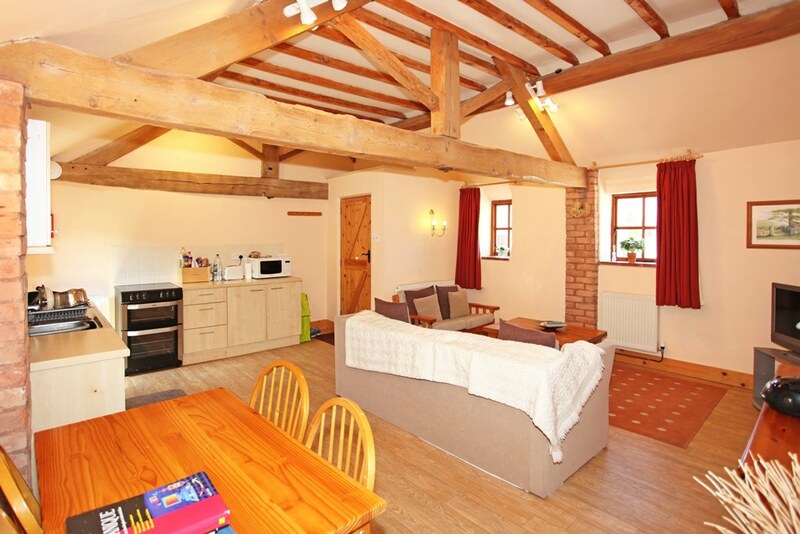 Kingfisher Barn is our largest self-catering cottage. It is ideal for two adults but can accommodate up to four people using the king-size sofa bed. 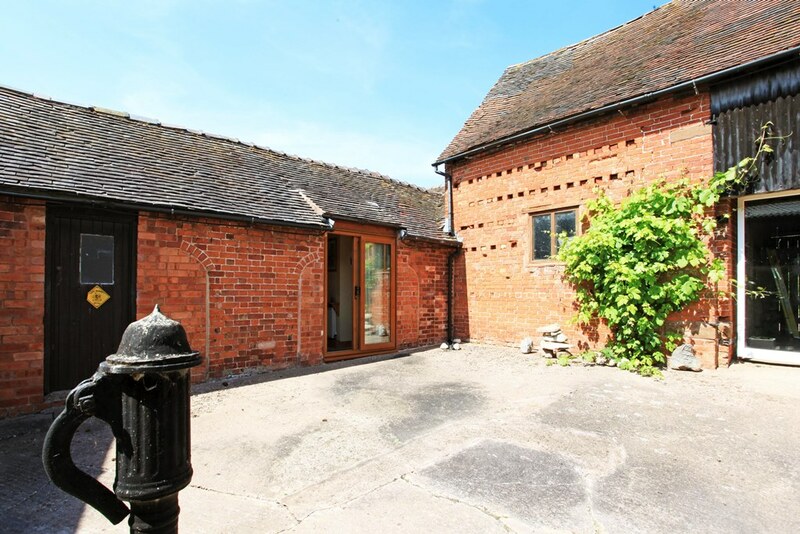 This cottage has a secured private garden, making it ideal for people with pets. Please note that pets are only allowed with prior permission and we would need to discuss your pet’s needs. 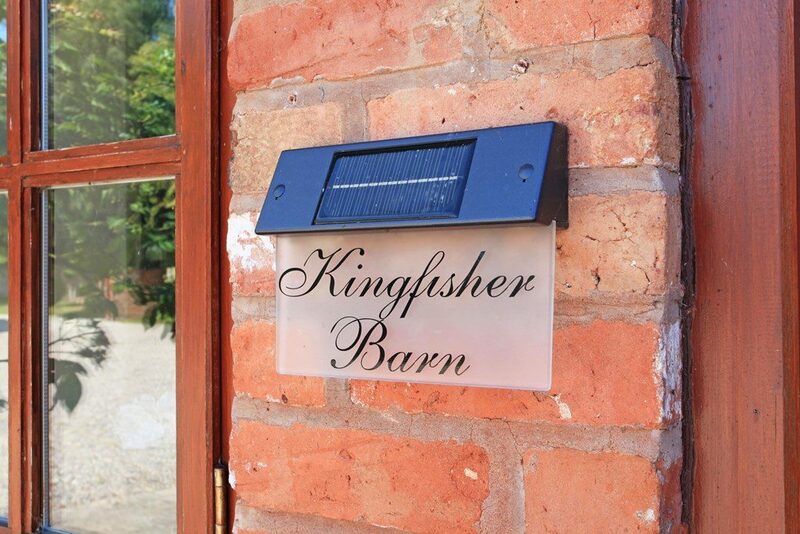 You can see from the array of pictures that Kingfisher Barns is warmly, welcoming and complete with essential equipment including a TV with free-view and dining area. It consists of a king-size bed in the main bedroom with an en-suite, a toilet, shower and basin – any forgotten toiletries can be provided! There is plenty of wardrobe space. In the main living area of the Kingfisher Barn there is a large sofa which can also be pulled out to make a king size sofa bed. 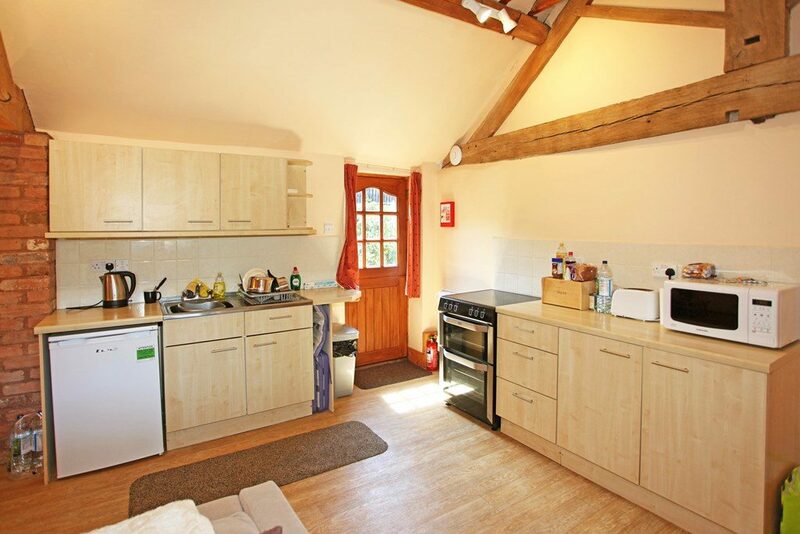 In addition to this there is a well-equipped kitchen, including a cooker, microwave, fridge, toaster and essential items such as cooking utensils, plates, glasses, and cutlery. 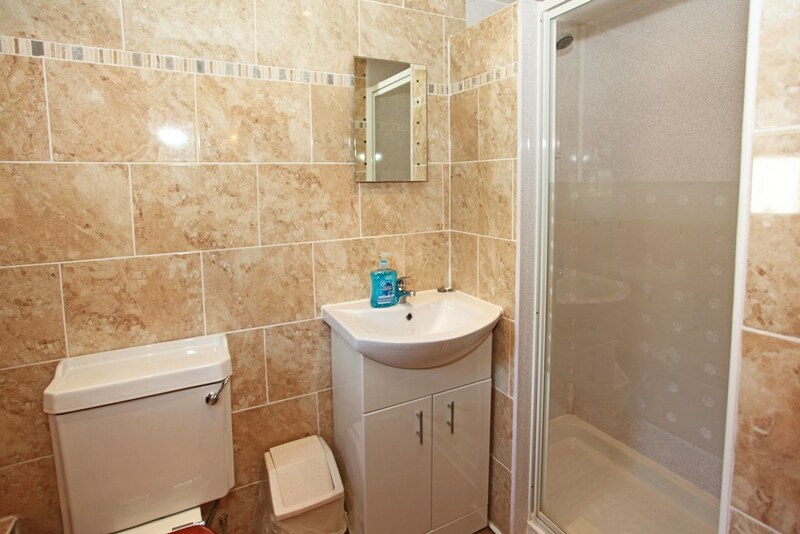 The cottages also have access to a joint laundry area complete with washing machine, tumble dryer, irons and ironing boards. We also store extra baby equipment such as high chairs and travel cots. Please always ask if you are unsure on a piece of equipment as we have most things!